Three consumer brands helped dads and kids score a touchdown on Super Bowl Sunday. Nissan, Toyota, and Dove Men+Care focused their annual Super Bowl campaigns on celebrating dads. Nissan's #WithDad campaign was its first Super Bowl campaign in 20 years. The fact that they jumped back into the frenzy of consumerism associated with the most widely watched TV event in the world was a huge undertaking in and of itself, but their choice to focus on dads' struggles to balance work and family made it even more remarkable. On the other hand, Nissan's ads have had a strong focus on dads for several years, so this campaign was a somewhat natural extension of that focus. Toyota's #OneBoldChoice campaign was one of the best father-focused campaigns I've seen. What made it unique is the range of emotions it invoked. The ads (a series of varying length that don't resemble typical commercials) not only invoked feelings of warmth and love, they invoked sadness as viewers learned of the everyday challenges many dads face in raising children. These current and former NFL players and working dads (e.g. a construction worker and a fireman) appeared with their children and discussed the bold, difficult choices dads have to make daily for their families. Dove Men+Care is, of course, a brand that focuses on men. So it's not as surprising that their campaign focused on dads. What made their #RealStrength campaign unique, however, was its use of "Real Dad Moments" that challenge the macho male stereotype prevalent in advertising. It was also unique in its reach into communities. The brand sponsored workshops for dads on January 17th at Sam's Club locations in approximately 20 states during which dads received materials on how to be a better dad. As I've written elsewhere in this blog, consumer brands often portray fathers in a negative light. They often portray dads as bungling, incompetent parents in need of rescue by nurturing, competent mothers. So perhaps we should be surprised that three well-known brands independently arrived at a decision to celebrate dads with extremely positive portrayals that emphasize dads' competence as parents and the importance of dads in children's lives. On the other hand, perhaps we shouldn't be surprised. Many companies now recognize that dads are a major buying force, especially in certain areas, such as automobile purchases. A recent study by ESPN Research and Analytics found that men almost always outspend women during holiday seasons. The percentage of men who are the primary buyers in their households has jumped from 14 percent in 1985 to 33 percent today. Men are buyers rather than shoppers, an important distinction to a company's bottom line. The business case for a focus on dads has indeed arrived. Regardless of whether we should be surprised, the next step for brands is to build on the business case for marketing to dads and help combat, through their social responsibility efforts, of one of the most consequential social problems of recent decades -- widespread father absence in the lives of children. Approximately 1 in 3 children (some 24 million) in America will sleep tonight in a home without their father, and 9 in 10 parents agree that there is a father absence crisis. Father absence has devastated communities across the country. Some of the hardest-hit communities have father absence rates above 50 percent. Many of the dads, kids, and moms affected by this problem don't have the buying power of the consumers portrayed in advertising. Toyota's campaign is the first I've seen that touches on this problem. Many of the fathers in the ads discussed the impact of being raised without their own fathers in their lives or by present fathers who were poor parents. Some of the children discussed the impact on their lives of having involved fathers. Unfortunately, none of the campaigns included a social responsibility component that would have made them truly remarkable. To take the next step in promoting the importance of involved, responsible, committed dads, brands must provide resources that help fathers in whatever circumstance they find themselves (e.g. living with or without their children) to be as involved as possible in their children's lives. They must provide these resources directly to disenfranchised families and through the thousands of organizations that serve them in communities across the country. This next step would not only help these families and communities, it would help companies respond to the belief among 75 percent of Millennials -- the largest generation of consumers the U.S. has ever seen who represent most of today's new and young parents -- that corporations should create economic value by addressing society's needs, and for their preference to do business with socially-responsible companies. The vast majority of Millennials, 4 in 5, are more likely to do business with a company that supports a cause they care about. And they care about parenthood. More than half of them say that parenthood is one of the most important things in life. 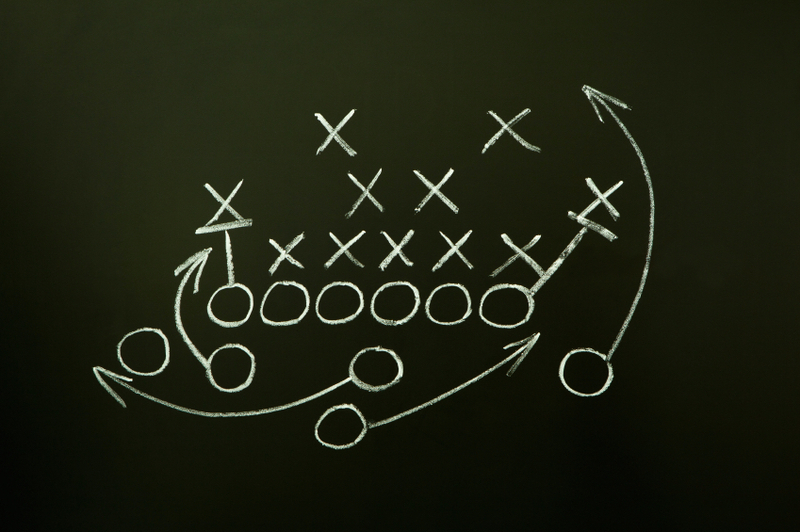 Question: Did you see any of the Super Bowl campaigns mentioned in this post? Which one was your favorite?